Competitive Analysis PowerPoint templates, backgrounds Presentation slides, PPT Themes and Graphics. Browse the innovatively designed collection of the Competitive Analysis PowerPoint Template and assess the strengths and weaknesses of the current and potential competitors. 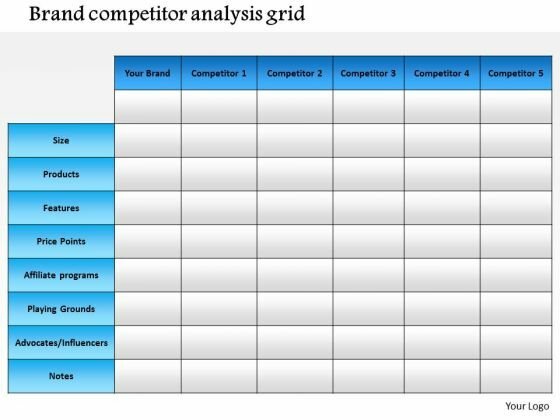 Use the relevant Competitive Analysis Template in your presentation and show it is an essential component of corporate strategy. Show with the amazing graphic that this analysis can establish what makes your product or service unique and different. Add the Competitive Analysis PowerPoint Template and emphasize on the steps included in the process. Get to know the comparison between you and your competitor to make your product hit in the market. Explain with the visual that for each competitor, list their product or service, its profitability, growth pattern, objectives, cost structure and sales. Incorporate the Competitive Analysis PowerPoint Templates in your presentation and make your colleagues understand the need of it. It is done to know competitor’s strategies and planned actions, and to know with which competitors to compete. Encourage your colleagues to thoroughly assess your competition on a regular basis. Competitors should be scrutinized systematically so that well informed strategic decisions can be made. 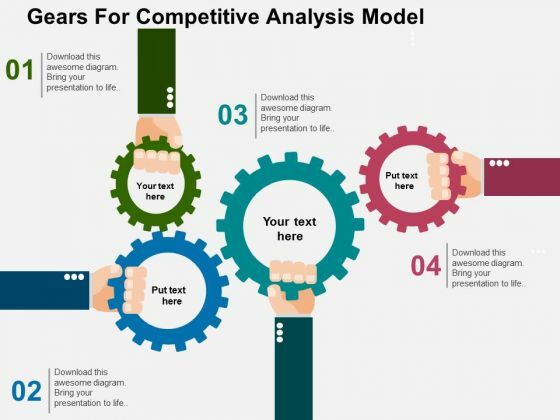 Include the relevant Competitive Analysis PowerPoint Templates and support your points with the visuals. 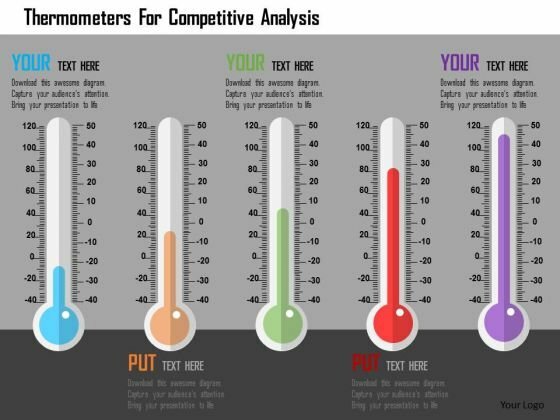 Use the amazingly designed Competitive Analysis PowerPoint Templates and make your colleagues understand the concept with the ease. This diagram slide can be used to display business competitive analysis. This professional diagram contains graphics of gear machine. Use this slide to build unique presentations for your viewers. Our above slide display graphics of connected circles. 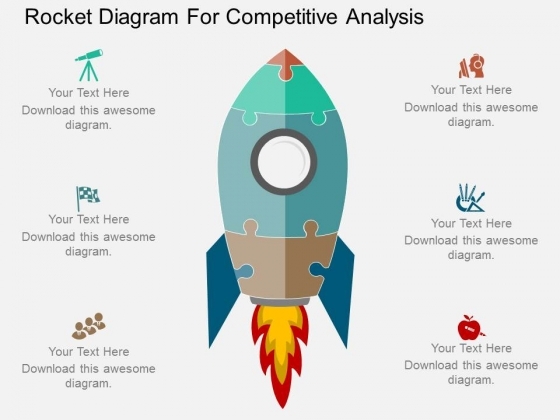 Download this diagram slide to display website competitive analysis. Adjust the above diagram in your business presentations to visually support your content. Our above slide displays graphics of thermometers. This slide is suitable to depict competitive analysis of business. This diagram offers a way for your audience to visually conceptualize the process. 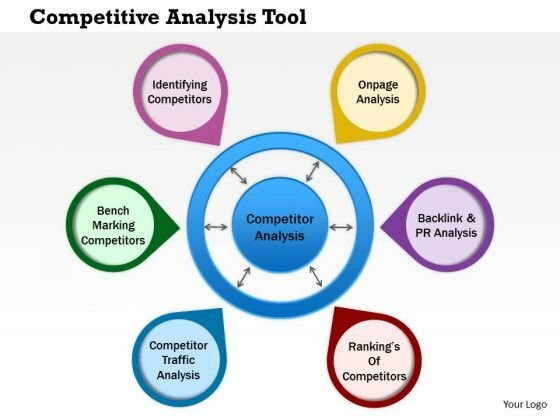 This business slide contains diagram of competitive analysis tools. 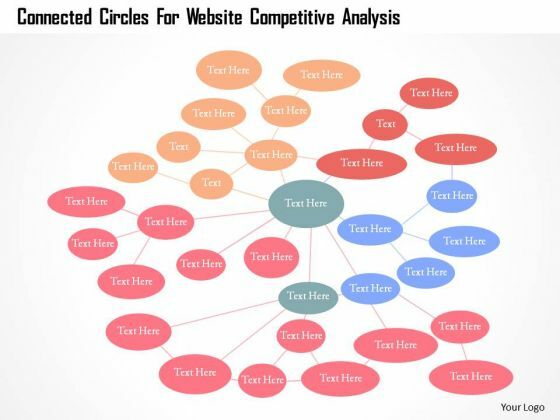 It contains circular diagram of competitors analysis depicting on page analysis, back link and PR analysis, ranking of competitors, bench marking and identifying competitors. Download this diagram as a tool for business presentations. This image slide displays business framework of competitive analysis tool graphic. This image slide has been crafted to depict marketing and strategic management. Use this image slide, in your presentations to express views on strength and weaknesses of potential competitors. This image slide will make your presentations outshine. This power point diagram slide has been crafted with graphic of grid. This grid is designed for brand competition analysis. Use this slide for your brand value representation in any business presentations.